Description: On consignment he have an F&W Guns custom FW-10 rifle in .308 Winchester (7.62 NATO). This rifle features an F&W custom lower with collapsible stock and UTG Pro pistol grip, a flat-top upper with 24" stainless heavy barrel, fluted, with recessed target crown, and a free-floating forend with full rail and keymod system. 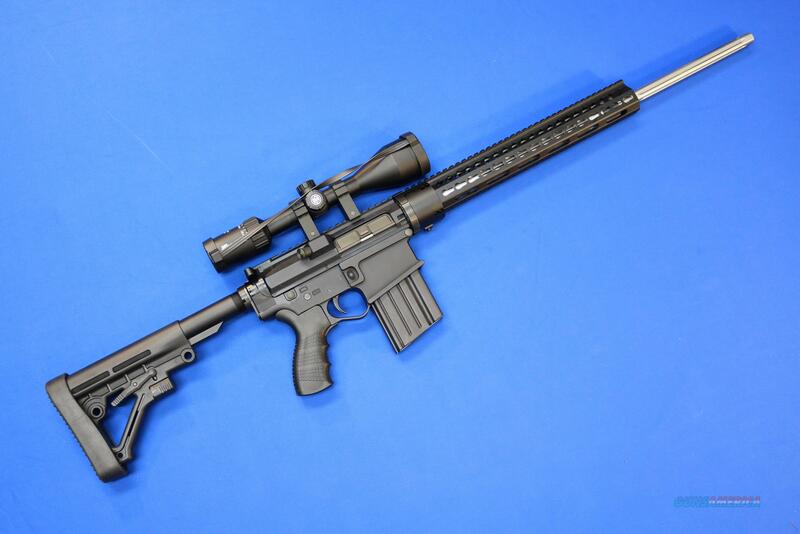 Gun is brand new from F&W Guns, and includes a SIG Sauer Whiskey3 4-12x50 scope. Gun comes with one magazine.